The Novena to Our Lady of Students, Mother of Fair Love, is inspired by St. Josemaria Escriva who said: “An hour of study, for a modern apostle, is an hour of prayer” (The Way, no. 335). 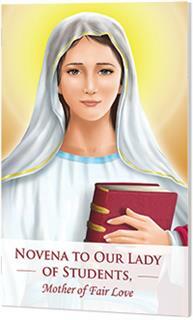 * A complimentary prayer card accompanies each Novena booklet.